Just so you can see some of my feedback here see my reviews on my Yelp Page! Here is a general rundown of what I do to make sure that everything is perfect for each wedding I play for. First, I like to interview the Bride and Groom. I want to know exactly what they want. This is super important. We need to be sure that I know and can create the perfect music that they envision. And if I can’t I will try to help them find someone who will. Or work with other world-class musicians to do it. This often takes place on the phone in the initial contact. Or, even in an email. Quite a few brides contact me from Yelp or other sites that link to my website and then they hit the contact icon or page from my site and contact me. Or, even just call me directly or text. But, then it can include a visit to my home studio where I can play songs and we can look at videos and listen to music to that we know that the songs will be perfect. Now, this can involve suggesting songs that can work. Or just questioning the Bride. One thing to keep in mind for Brides and Grooms, there are basic structures to weddings and they can vary. But there are no hard and fast rules when it comes to music. It totally depends on what you are trying to accomplish. What effect do you want to create on your big day. Once these are nailed down, or concurrently, I’m interested in the theme. Is there anything I can do to make my approach more tailored to the day. Is it a Tuxedo day? Or jeans? Or something in-between. Again, this is totally dependent on the Bride and Groom. But, for me, this is super important to get right. What is the vibe? What can I do to make the look and feel of my music totally fit the day? 2. Then, I’m going to find the music on Youtube or the web and either downloading or doing whatever I need to do so that I have a piano version of it that totally captures the beauty of the song. I use Youtube and Spotify to hear different versions. I often will get the best version that the Bridge and/or groom likes but I’m digging in there and finding the most amazing way to translate it into a piano version or whatever the version that is needed. Then it’s just a matter of rehearsing it so that I can totally nail it on the day for the performance. One point, I will learn any song needed so that the music is perfect. 3. This whole time, of course, being in great communication with the Bride and Groom and making sure that they don’t change their minds. If they do that’s fine too after all this is a once in a lifetime moment. My policy is to get back to the Bridge and Groom as instantly as possible. Every time! Additionally, stay super upbeat and positive about the day and the music and always keep open to anything that will make the day better. And, be able to change and go with the flow. I’m always looking at what would I expect from the top wedding singer Los Angeles? And then, try to go a step beyond. Plus, I try to put everything I can into the details that will make it super amazing. 4. Here is one other point. If I am not the totally right fit personally or if I am booked I will go out of my way to find it and even book it for you. And, I have spent many years great years in Los Angeles and I’ve worked with and know many other amazing professionals in the area. So, I’ve booked many of them for weddings and other events. 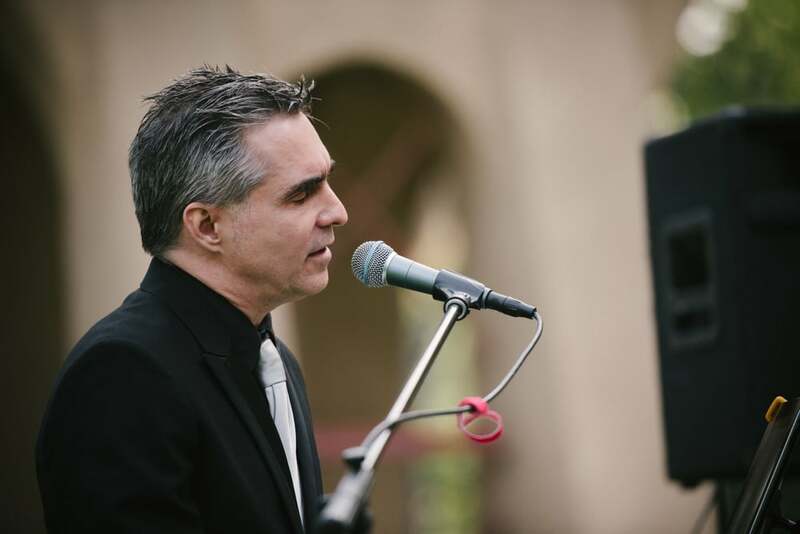 Book Amazing Wedding Singer Los Angeles! Including, hear some vid, audio samples. Just reach out to me and let’s see if we’re a good fit. And here is an excerpt from a review of a recent wedding. We hired Marc to perform at our wedding reception, which was held at our home for about 60 people. Marc did an amazing job! Our guests loved him, and some of our guests even sang a few songs with him. His repertoire is extensive and is even great at improvising. Marc… Thank you! Thank you for making our wedding memorable and beautiful. First, I remember stressing out trying to find a pianist for our wedding! I’m glad I found you, bro! Marc was very friendly and very eager to work with us! He gave us an amazing deal! He showed up real early to set up. Every song he played was absolutely beautiful! And, I walked down the aisle to California by Phantom Planet (OC theme song), he really made everyone cried on how beautiful it was! I got compliments all night from our guests who just loved your voice and music! I definitely recommend Marc to play at any event! He truly is an amazing musician! Both of these and many more at my Yelp Page. Hopefully one of them is yours!